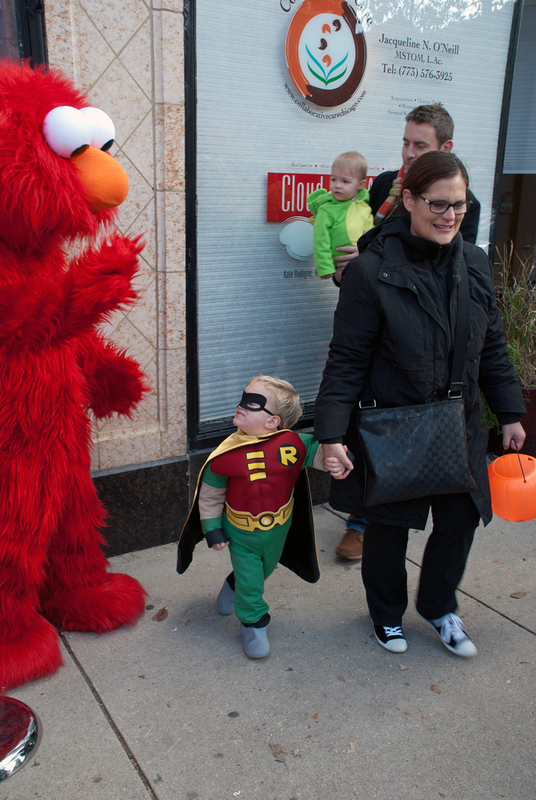 Spent an awesome late October day last Sunday at the Southport Halloween Stroll, sponsored by the Lakeview Chamber of Commerce. The weather was cool, but not so cool that the little folks had to hide their motley under coats and scarves. 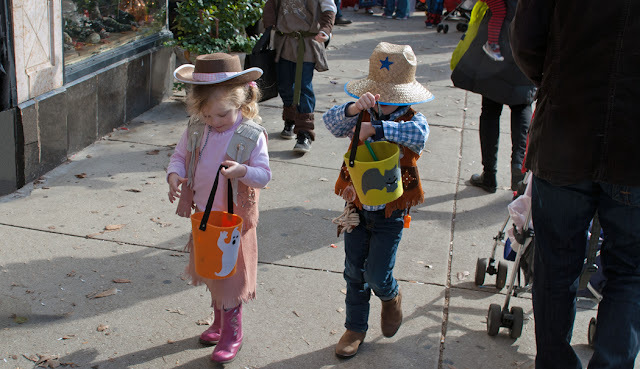 Held from 1:00 to 4:00, the day was a riot of color of costumes and changing leaves. Even the dogs were dressed up . . . the first one we saw as we walked east toward Southport was a little mixed breed dressed up like a turkey, another example of remarkable canine tolerance. I have a special place in my heart for this event. Nine years ago my daughter and I ran in a Halloween race at Montrose Harbor. After the run we headed out toward Southport, close to where she was living at the time. Jill and I had already begun to talk about moving to the city when we retired, but walking along Southport on that day made up my mind for good. 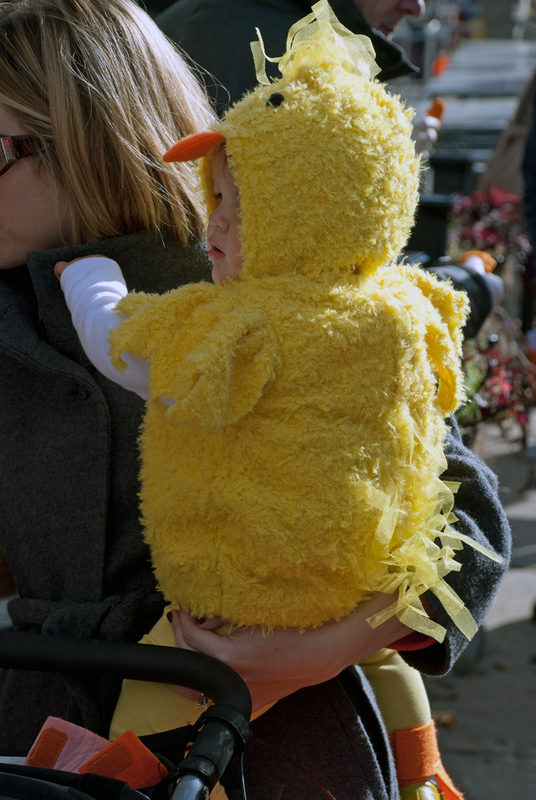 There were so many families out with their kids on that day in October of 2003. 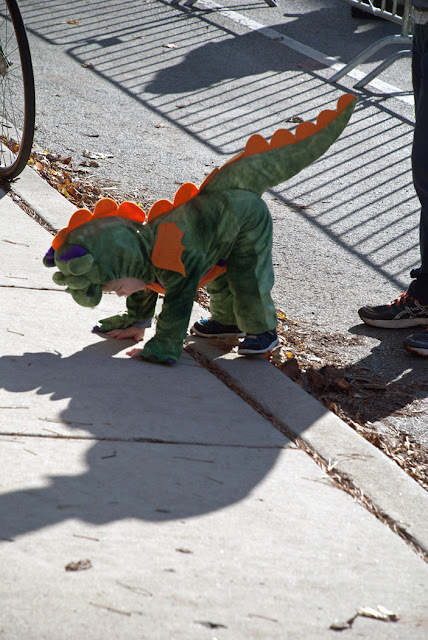 I felt the energy, and the great optimism and vitality that comes from holding a little one’s hand as it sticks out of a dinosaur costume. 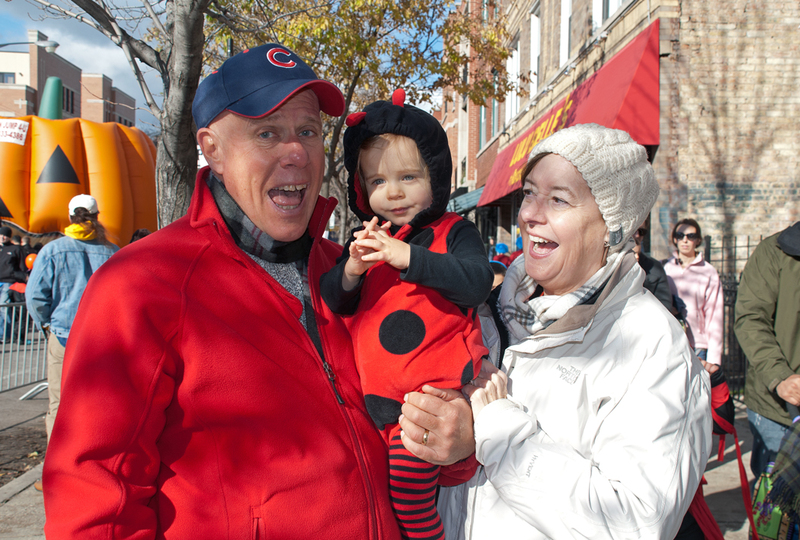 Sunday Jill and I joined our daughter and son-in-law, now living not far from Southport, as our 15-month-old Lady Bug toddled down Southport, waving at every dressed-up dog that she passed. 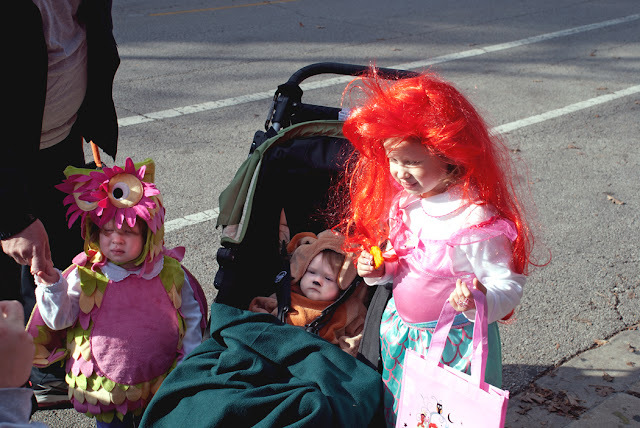 It has been nine years since the last time I visited Southport at Halloween time. The magic is still there.